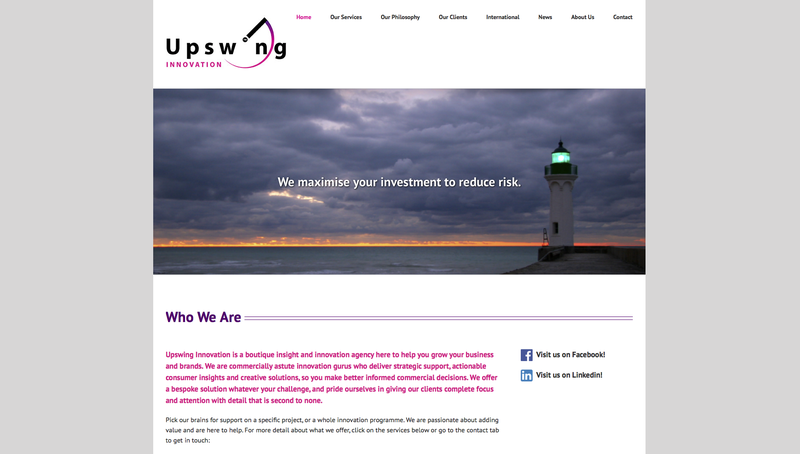 Upswing Innovation works with other brands and businesses to provide insights, creative solutions, strategies and training to help them grow. 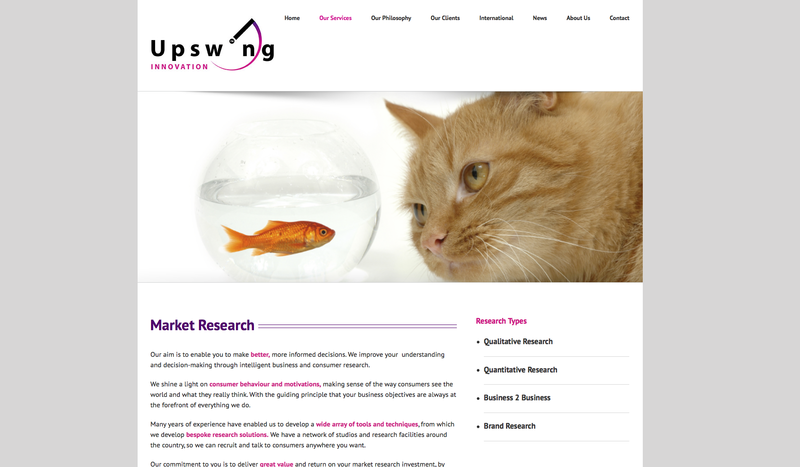 Upswing Innovation needed a new website to clearly and effectively communicate their range of services and promote their expertise within their industry. We designed and built a simple yet bold website based around their branding. On each page, a large banner image is used to focus in on the subject at hand, with text underneath. Easy navigation, as always, was key to the Upswing Innovation website. The top navigation menu provides easy access to all pages and sections of the website and on the homepage, the service pages are also accessible via animated flip cards with icons and a quick description of the service.